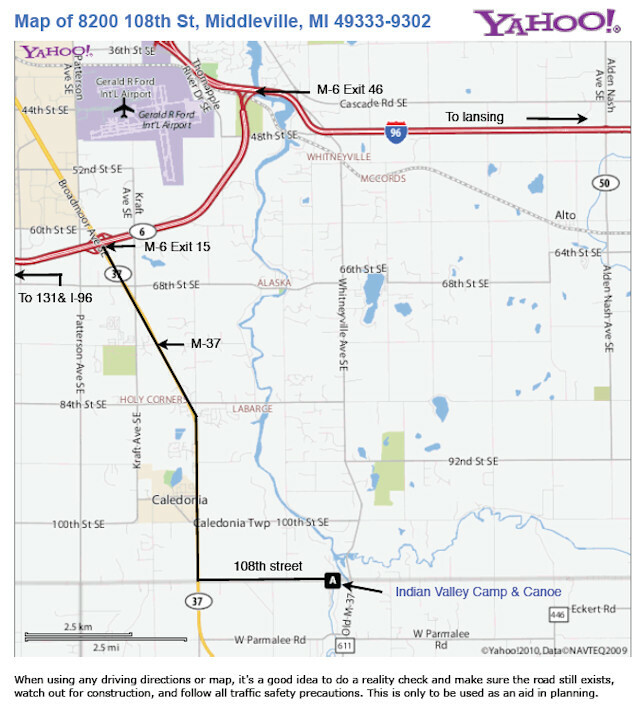 US-131 S. of Grand Rapids, E. on 100th St. to Patterson, go S. 1/2 Mi. to 108th St., E. 4 Mi. Follow signs. I-96 E. of Grand Rapids, Exit 52 (M-50), S. 4-1/2 Mi. to 84th St., W. 4 Mi. to Whitneyville Rd., left 3 Mi. to 108th St., right 1/4 Mi.